If you wish to find custom bowling balls, you are shopping at the right place! We can also create custom bowling balls with almost any image or idea you wish. Provide the idea, picture, or design you have and our professional graphics designers will help you make your ball come to life. CLICK HERE FOR MORE INFO! You can easily find pre-made Custom bowling balls in several unique choices such as the Viz-A-Ball series exclusive to bowlingball.com. We have custom bowling balls for kids such as Disney's Tinkerbell 'n Pixie Dust Collector's Edition Ltd bowlingball.com Exclusive. The popular Barbie 10 Only is great for any fan of the famous doll. You can also find the Pirate Skull w Ship Ball Viz-A-Ball - bowlingball.com Exclusive Viz-A-Ball which is exclusive to bowlingball.com. 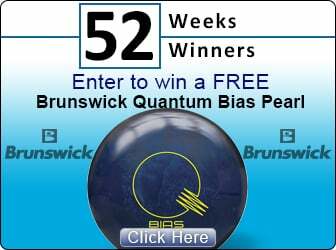 The limitations are that we cannot make clear or "see-through" customized bowling balls. We also cannot use any company's private logo unless the customer first obtains written permission from the given company to do so and presents the documentation to bowlingball.com . Unfortunately, we are also prohibited from using any image owned by another entity such as characters or images from TV, movies, video games, comics, cartoons and sports teams without written permission from the owner of the image. Do not be discouraged if you really wanted a ball that has your favorite TV series or movie star on it! We may be able to create something that is similar to what you wish! Simply send us an email and we will do our very best to help you! Custom bowling balls make excellent gifts for birthdays, for holidays, or for someone being introduced to the game. While you are shopping, please remember that every item in our extensive product menus has free shipping to accompany our everyday low prices. bowlingball.com has become the No. 1 “e-tailer” of choice for bowling equipment by the consumers of America. Ordering is an easy process by following our simple online instructions. Thanks for visiting.